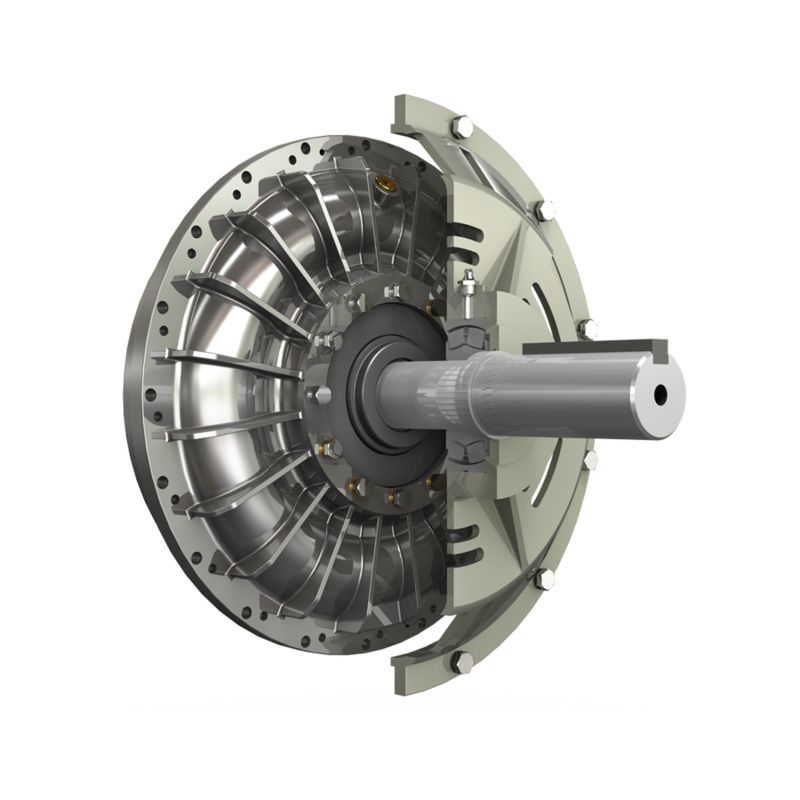 The SKF serie Fluid Couplings are used on all types of industrial equipment driven by internal combustion engines up to 180 kW requiring a tight flywheel mounting. By transmitting power through a fluid, they improve overall performance and protect both driving and driven machine. When you drive through Transfluid Coupling you profit by these Basic Benefits. During heavy starts and sudden running load increases, engine lugging is prevented. The Fluid Coupling simply “slip” while it smoothly picks up the load. Mechanical connection is eliminated; power and torque are transmitted entirely through mass and velocity of fluid. The result is a smooth, sustained flow of power minus the shocks and strains which, with mechanical drives, cut equipment life. Fluid Couplings protects both driving and driven equipment by smoothing out shock loads and preventing them from striking solid resistance. Torsional vibrations from engine are drastically dampened by Fluid Coupling making longer life of entire transmission life. The patented Transfluid Circuit design delivers output torque always equal to input torque. The engine can turn at its max torque-rpm, even when driven is at stall. The SKF serie includes the SKFE line which allows the installation of a pulley on output shaft.